This is an optional KDE Direct T700 Universal Main Gear Case, and is intended for use with the Align T-Rex 550E, 600E, 600ESP and 600E Pro series helicopters. 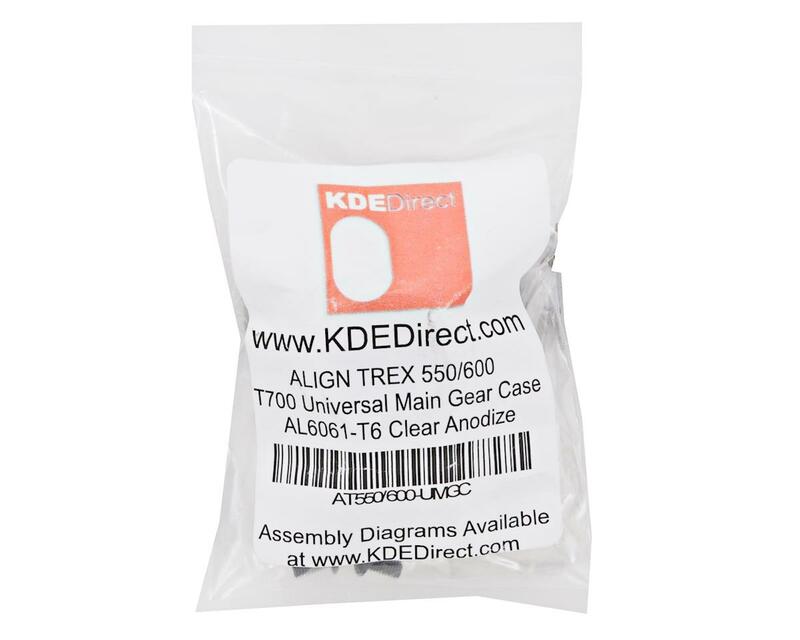 This part replaces stock Align part AGNH60200 and AGNHN6064B. The T700 Universal Main Gear Case for the ALIGN TREX 600E PRO series helicopter (also compatible with the TREX 550E and 600E/ESP series with components listed below) provides the most universal solution for gearing setups throughout the helicopter series. No more self-tapping screws into plastic, the new upgrade provides a rigid, six-screw bolt pattern for the gear to the Main Gear Case for unreal strength and simplified installation. This upgrade is a MUST HAVE for high-power, high-voltage setups to prevent stripping of the main gear during flight and hard 3D maneuvers. The T700 Main Gear Case can be used in conjunction with the new KDE Direct TREX 700 Series 115T, MOD1.0 Main Drive Gear, or the KDE Direct TREX 700 Series 164T, MOD0.7 Main Drive Gear, (must purchase separately) for significantly increased strength advantages, reduced noise/wear, and alternate gearing ratios. 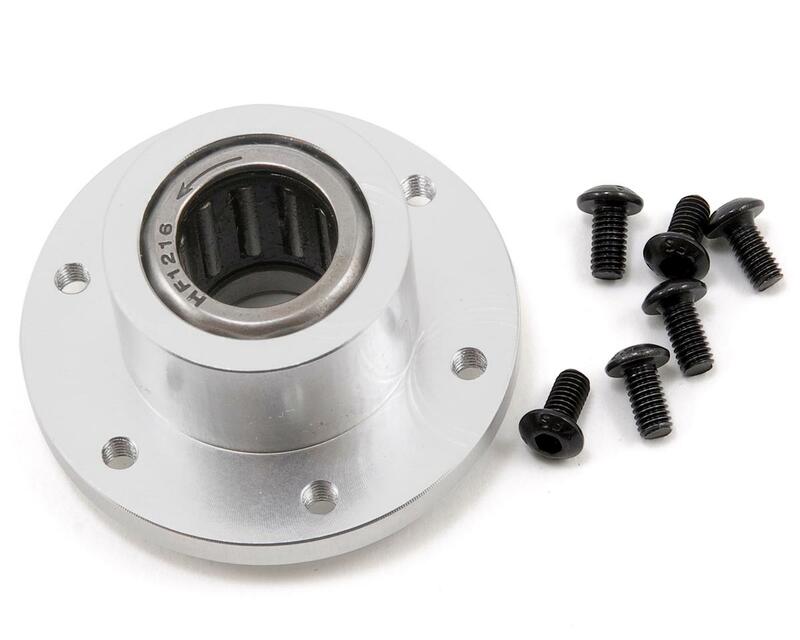 In addition, the High-Performance One-Way Drawn Cup Clutch Bearing (HF1216) is also available for a strong, bind-free transmission of the power to the main shaft if replacements are required.